To run world-class, cutting-edge competitive practical shooting events with an unmatched level of professionalism and operational excellence. We bring new practical and field competition concepts to reality. Our staff has a proven track record of running challenging, safe, and fair 3-Gun, multi-gun, and long-range matches. We have been involved in administering many of the most influential field matches of the last decade and have redefined what field challenges can be applied to a competition format. We have the expertise and experience to run world-class practical shooting events. Competition Dynamics runs world-class, cutting-edge competitive practical shooting events with an unmatched level of professionalism and operational excellence. Our staff runs more competitors through practical field shooting events with more stages than other. We bring new practical and field competition concepts to reality. Our staff has a proven track record of running challenging, safe, and fair 3-Gun, multi-gun, and long-range matches. We have been involved in administering many of the most influential field matches of the last decade and have redefined what field challenges can be applied to a competition format. We have the expertise and experience to run world-class practical shooting events. 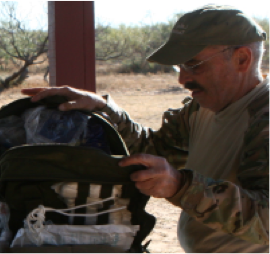 As an organization our staff and consultants have extensive experience in practical field shooting in military, law enforcement, and civil applications. Practical and field style shooting encompasses virtually all aspects of the real application of firearms. Rifles and shooters are tested to their ballistic and physical limits using natural terrain and typical man-made structures to define the shooting problems. This type of wide-open challenge appeals to shooters who want to push the limits of what is possible, in both technique and equipment. Competitors in our Sniper Adventure Challenge take the physical, mental, and endurance requirements to world-class levels and exhibit athletic and mental performance that few others dare to attempt or hope to achieve. Members of our staff have been involved in running the follow events: Thunder Beast Team Challenge; Steel Safari; Sporting Rifle Match; Magnum Rifle Match; CPPA/IBPO Law-Enforcement 3-Gun; Camp Guernsey Invitational Multi-Gun Match; Practical Rifle Team Challenge; Rocky Mountain 3-Gun Nationals; Soldier of Fortune 3-Gun; United States Marshalls Posse Match; Monthly/Local 3-Gun (CO, WY); and were amongst the Founding Members of Colorado Multigun. Zak Smith is a competition shooter who has pushed the state of the art in practical long-range rifle shooting. He started competing in 3-Gun in 2003 and long-range in 2004 and quickly distinguished himself with top finishes at major matches. Using his scientific and engineering background, he has pushed the envelope in practical shooting, especially long-range practical shooting. Much of this information has been published in articles in print and online media. He was the first author to regularly use the term "Practical Long-Range Rifle Shooting" to describe the spectrum of solving field problems with a rifle. 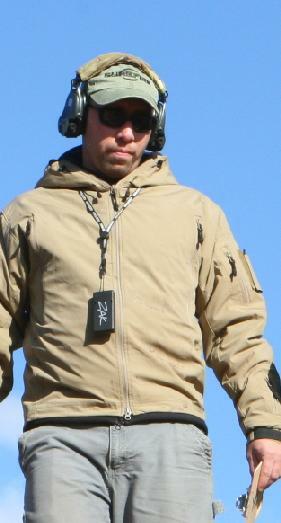 Smith has competed in USPSA/IPSC, 3Gun, and long range rifle matches since 2003, with top-10 finishes at the CMMG Midwest 3Gun Championship, Tiger Valley 3Gun, MGM Ironman 3Gun, Snipers Paradise Sniper Challenge, TACPRO Sniper Tournament, International Tactical Rifleman Championships, Practical Rifle Team Challenge, Weld County 3Gun, Camp Guernsey ARNG Base Multi-Gun, NRAWC Sporting Rifle Match, and Rocky Mountain 3-Gun Nationals. Other major matches shot include Superstition Mountain Mystery 3Gun, DPMS Tri-Gun Challenge. Match/division wins include 2007 Camp Guernsey Multi-Gun Invitational (overall), 2007 Steel Safari (standard), 2006 Steel Safari (overall), 2005 Cavalry Arms Tiger Valley 3Gun (Trooper Class), 2009-August Sporting Rifle Match (overall), and local Rocky-Mountain region 3-Gun. 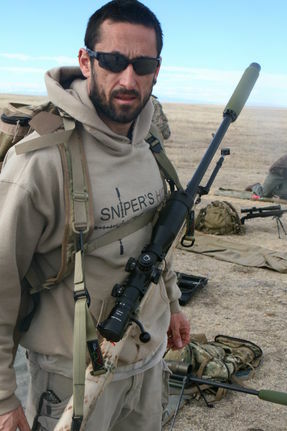 Smith has been sponsored by various companies over his shooting career, including Cavalry Arms Shooting Team, Magpul, and Thunder Beast Arms Corporation Shooting Team. 2006 Practical Rifle Team Challenge Assistant Match Director Archived website. Holdsworth has competed in 3Gun matches since 1999, with multiple Top-10 finishes at the CMMG Midwest 3Gun Championship, TV3G, ITRC, and SMM3G, and Top-50 at SOF and WC3G '02-'03. Other major matches include the TACPRO Sniper Tournament and SP Sniper Challenge. Match/division wins include "Open" class at TV3G '04, two class wins at USPSA 3Gun Nationals. 2006 Practical Rifle Team Challenge Match Director Archived website. Gunsite graduate: 250, 260, 499, 223, 556, ACTP. Former Wildland Firefighter. Current world traveler/adventurer. Casey Schrader exploded onto the shooting scene in 2011. Starting in 3-Gun, he quickly developed his skills and won several of the WCFW 3-Gun matches. He jumped into long-range shooting in 2013 and shows a lot of promise. Casey brings exceptional enthusiasm and work ethic to matches as a staff member, and his friendliness and great attitude is of great renown. Casey's radness just cannot be quantified and he can drive the wheels off of anything mobile. Ray has been a competitive athlete for most of his life. He went from earning a living playing racquetball, to racing triathlons and mountain bikes professionally. Ray has always been a gun guy, but about 12 years ago he decided he wanted to work in the firearms industry and spend more time shooting. Taking classes and learning from whomever he could, he quickly established himself as a very well rounded shooter and instructor along the Rocky Mountain Front Range. 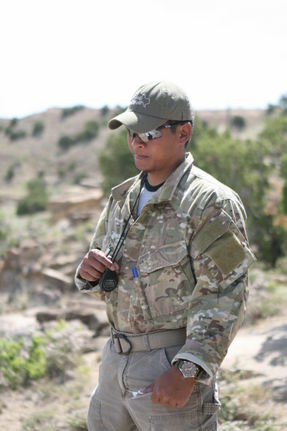 While competitive with a pistol or carbine, his favorite discipline is precision long range shooting and he spends most of his trigger time honing long-range skills. With wins at the Sporting Rifle Match and the Steel Safari in 2009 and 2011 he has proven himself to be a top Competitor in the sport. 2006 Practical Rifle Team Challenge RO Staff Archived website. 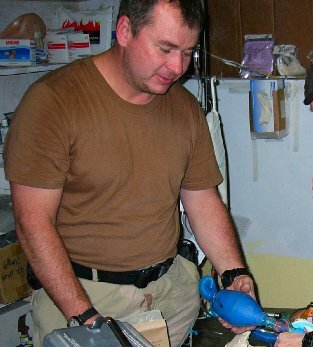 Clay Parker is a retired US Army Sniper with experience in Central America, Asia, and the Balkans. 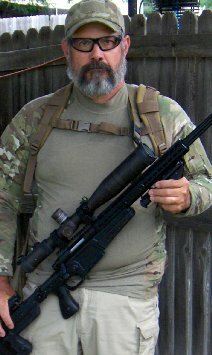 He was an instructor at the US Army Sniper School in Ft. Benning GA, and he served as a Reserve Officer on the Bellingham Police Department, during which he helped train, the Bellingham SWAT team snipers. Clay is an expert in implementation of broadband networks in inhospitable environments, as well as deploying complex applications in the "Cloud." His expertise enables CD to bring a near-"live match" experience to spectators at home as well as providing logistical and emergency communications support on-site for staff and competitors. 21 years US Army as a Sniper and Scout. Deployed all over the world in support of operations, and training foreign military personnel in Sniper and Surveillance operations. Last 12 years Medical Director Central Utah Correctional Facility. 35 years part time Emergency Medicine. 10 years on County Technical Rescue Team, last 4 years as Team Leader. 20 years Endurance Horse racing with 15,000 miles of competition. Kyle Hill is a lifelong firearms enthusiast. 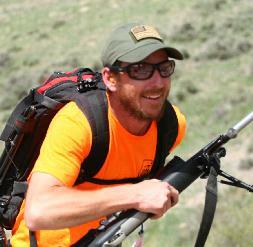 He competes locally in both long range and 3 gun matches. An avid fly fisherman, however his day job is teaching high school science: AP Biology, Chemistry, and Exercise Science. Matt Price is a web developer based on Fort Collins. He has been designing and creating web sites for over ten years and has held a lot of different jobs along the way: Environmental Engineer, IT Engineer, and Website Designer. He is currently the Vice President of Engineering at Community Funded and he architected their code base. 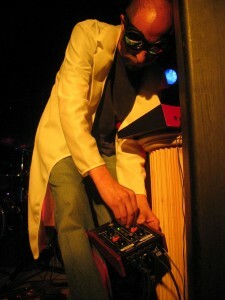 Matt toured in a rock band for 6 years. Matt is responsible for our web site design. He also does all of our T-shirt artwork. Matt specializes in creating sites that are clean and easy to use. He can be reached at MatthewAPrice.com. Matt is not a competitive shooter, but he is well versed in basic operation of most types of firearms. He particularly enjoys milsurp rifles and informal clay shooting.